Thomas Wolfe once said “you can’t go home again.” The Snob says “sometimes you go home.” Home for me is Bayonne, New Jersey, a peninsula surrounded by Newark and two boroughs of New York City -Manhattan and Staten Island. Mom and Dad still live there in the house I grew up in. It becomes my base of operations whenever I am in the New York metropolitan area offering me easy access to great pizza. As mentioned before, Bayonne has no shortage of pizza joints. Most of them are located on its main drag, Broadway, a street that runs the entire four-mile length of town. Now that box stores have since come to the newly-developed outskirts of town, Broadway, once Bayonne’s primary retail center for shopping of all kind, remains a haven for a variety of small Mom and Pop businesses. It’s still a great place to get a bagel, have some fine deli food, have a drink at a bar, or buy your lottery tickets or other small sundry goods. 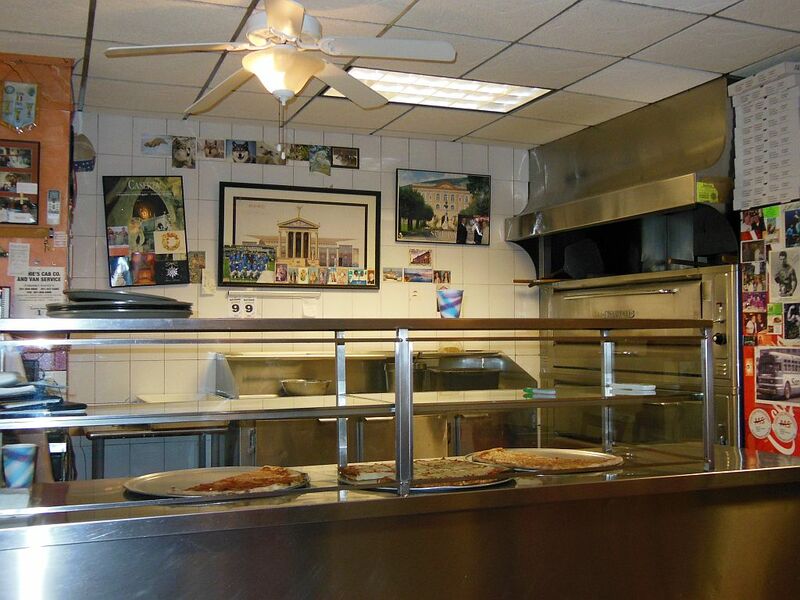 And, of course, it has always been the place to grab a great slice of pizza. So….one afternoon, I decided to walk along Broadway and sample the four pizza places I had perceived as being Bayonne’s best. Three were familiar haunts of mine, while one would be a first-time experience. 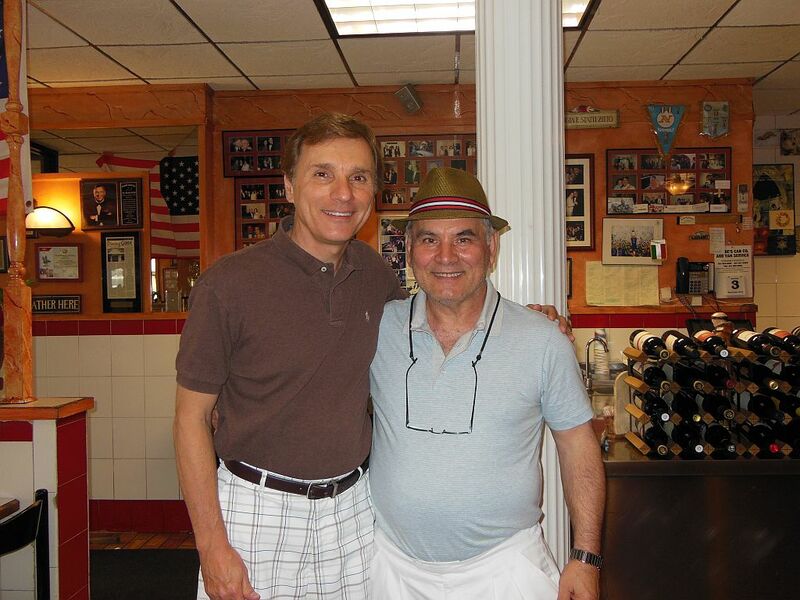 My first stop was Tony’s Pizza – the one closest to our home and in my younger years my “go-to” place to get a quick slice or to bring home a whole pie. I can still recall the day it opened some 40 years ago. “Tony’s Pizza” at least for me, still remains the best way to answer the phone. Just saying. 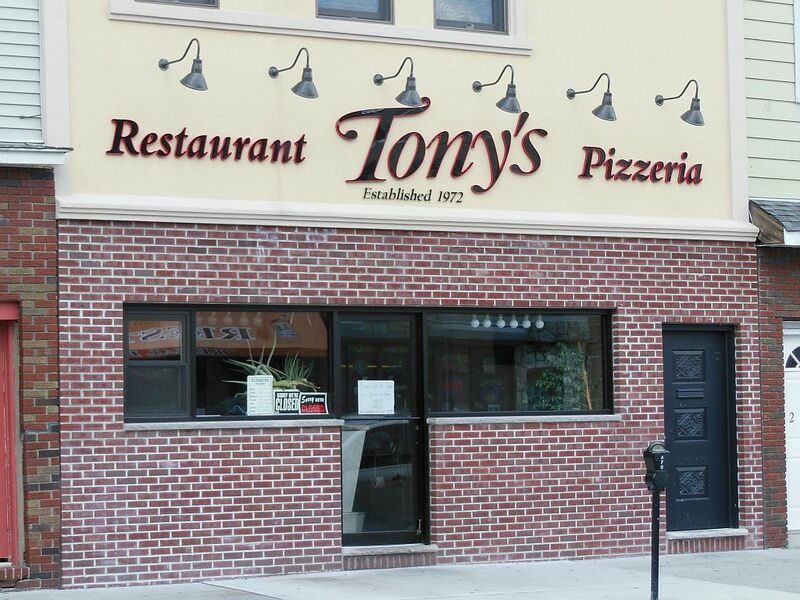 Tony’s was always one of Bayonne’s finest, and my latest tasting showed that it hasn’t changed one bit. 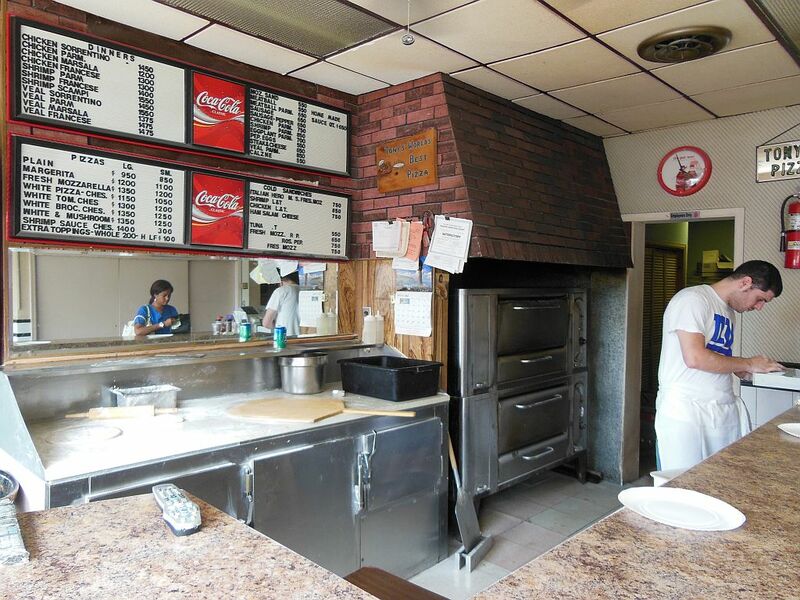 It is the Snob’s favorite kind of pizza joint – one where you walk up and order your slice at the counter. You won’t get much else there other than pizza, subs or a handful of Italian dinners, but they certainly know how to do their pizza right. The $1.50 cheese slice came out of the oven perfectly reheated. Hot and toasted, it crunched nicely. The crust slightly cracked when I folded the slice. 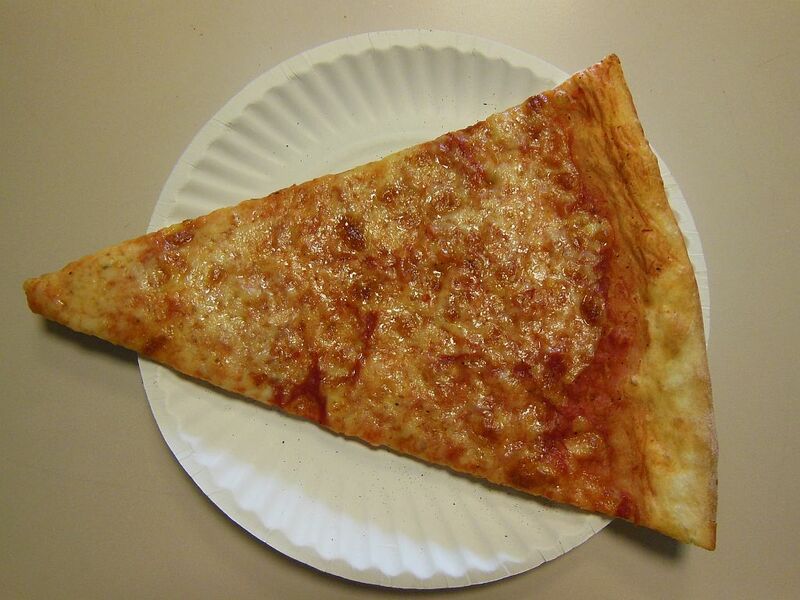 There was no “bump” in the end crust; rather it was the same height as the rest of the slice. To me, that’s a good sign that things aren’t too doughy. The cheese and sauce were fabulous as expected and in just the right quantities. At Tony’s you are pretty much on your own to sprinkle oregano and garlic because their slice isn’t spiced up much. A tad dry, but a winner all the way. 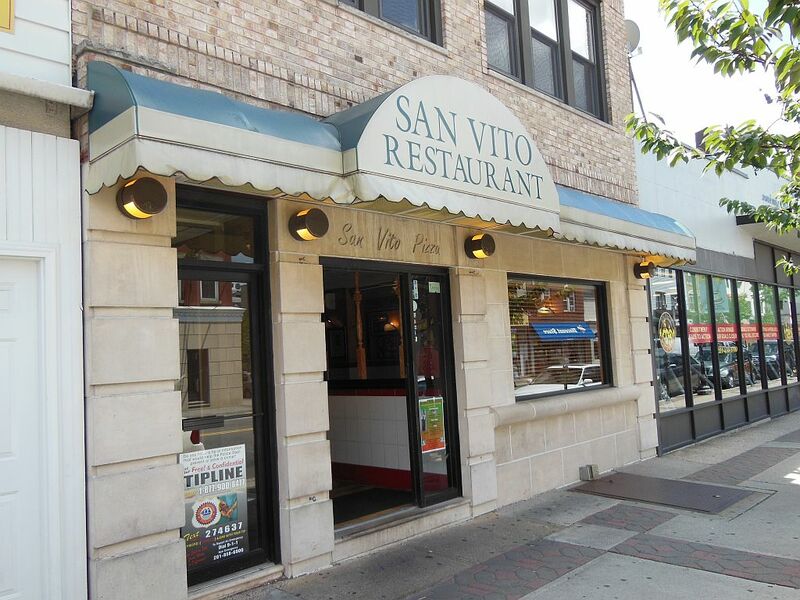 The next stop on my walk was San Vito Restaurant, a place near and dear to our family for years. It’s safe for me to say that it is my favorite Italian restaurant anywhere. There just isn’t a bad dish on its extensive menu of Italian delights. I get a little miffed, however, because the locals don’t seem to give as much notice to San Vito’s pizza as it deserves. The Snob has always thought it was quite special. 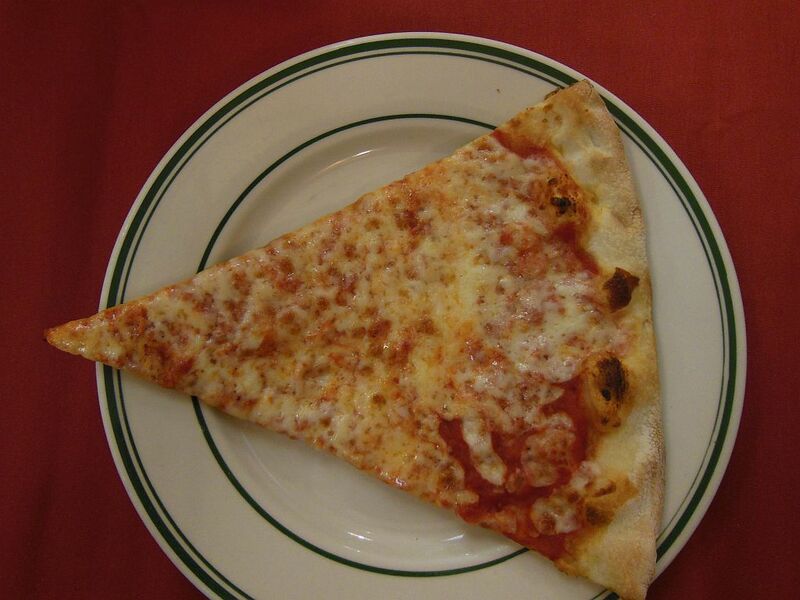 For me, any meal there always begins with a slice at least. When I got my slice, it came out of the oven reheated hot and toasty. After one bite I said to myself, “I don’t think you can make a slice any better than this.” It was perfect, so I will spare you my usual commentary and just leave it at that. If you ever find yourself in Bayonne, be sure to have dinner at San Vito and start off with slices for you and your sweetie. You won’t be disappointed. If memory serves (it often does not anymore), San Vito was owned by the family of Vito Aiello, whom I went to BHS with. And yeah, it always had pizza that was as good as it gets! I was stationed in Bayonne at the MOT in 1984 and the first slice I had was at SAN VITO next to the Big Apple I ended up marrying a bartender from there. All these years later I am still with her in FL and we always talk about the pie we got at SAV VITO. Great PIE and Slices.